CREDITS: 2008 Super Bowl, Many Celebrity Birthday Events, NFL Owners Assn. 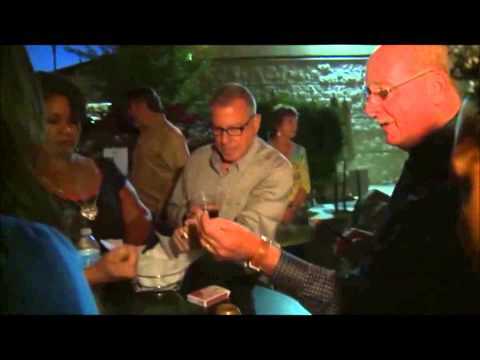 For over two decades Gene Urban has performed extraordinary close-up magic and mentalism at corporate and adult parties. Best known as the top sleight-of-hand magician in Phoenix & Scottsdale Arizona, his magic has been witnessed at corporate events and exclusive adult parties across the United States, Europe, Canada, Mexico and Caribbean. He doesn't simply perform magic tricks; he is the corporate magician and mentalist professional meeting planners in Arizona, California, Las Vegas, among other cities, turn to for their most discriminating clients. Whether you are planning a corporate event, an adult birthday, or looking for fun party ideas, Gene Urban will be the right choice. 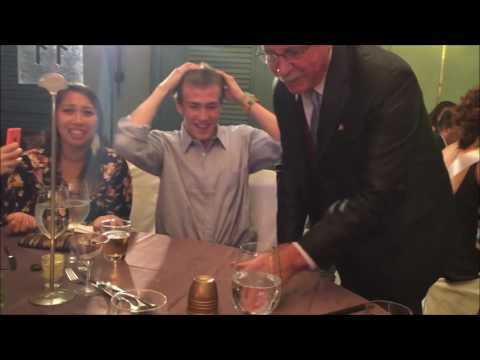 Gene Urban is an inimitable magician, mentalist and entertainer. He truly understands the needs of the corporate entertainment and private party market. Gene is legendary among meeting and event planners in Phoenix and Scottsdale Arizona, Las Vegas Nevada, Los Angeles and Santa Barbara California. Perhaps this is why so many call him The Magician and The Mentalist. Gene's close-up magic, feats of mind reading and mentalism has been witnessed by hundreds of thousands of amazed and highly satisfied guests. It is no wonder he is the magician of choice for so many discriminating resorts, corporate event planners, party specialists, entertainment agencies and people hosting birthday and private parties. Since top industry pros in Scottsdale, Phoenix, Las Vegas, Los Angeles, and Santa Barbara California turn to him, you know you can trust he'll deliver at your next event, adult birthday party, wedding or corporate function. Gene Urban performs close-up magic and mentalism at corporate functions, business meetings, trade shows, and distinctive parties worldwide. In addition to close-up magic, Gene's bag of tricks includes a superb stand-up show designed for small groups of 75 guests or less. The difference in Gene Urban's style is subtle and incredibly important. 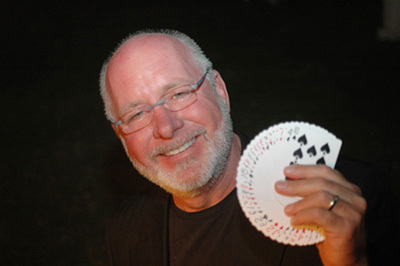 Rather than simply playing the role of famous magician, much of Gene's magic is performed by the guests. Your guests and friends will become mind readers, make objects disappear and perform magic tricks they never dreamed possible. In Gene Urban's show, people leave delighted and happy for the experience. Whether you are looking for a magician in Phoenix & Scottsdale Arizona or across the globe, Gene Urban is a superior choice.